This essay is by Gina Elia. Within the first ten years of the twentieth century, American intellectual Ernest Fenollosa (1853-1908) had written an essay, later edited and published by Ezra Pound (1885-1972), that was called “The Chinese Written Character as a Medium for Poetry” (1920; 1936). This essay proved crucial to not only American Modernism—Pound used it to promote the Imagist movement in poetry—but also to the development of the perception of Chinese language and culture in the West. The essay propounded the idea that Chinese is primarily a pictographic language, a view that has persisted in the West to the present day. Furthermore, it posits that this pictographic quality plays a key role in the writing and interpretation of Chinese poetry. While generally dismissed as Orientalist by contemporary scholars of East Asia, UC-Santa Barbara professor Yunte Huang disagrees with this simplistic reading. On the one hand, he agrees that the Orientalism rampant in this essay cannot be ignored. On the other hand, he sees the essay as key in the ongoing, roundabout inventing of culture that occurs as texts cross cultural and linguistic borders, and thus as important to the trajectory of thought concerning the Chinese language in the West today. Huang’s book of translations, SHI: A Radical Reading of Chinese Poetry, clearly identifies itself as, in part, a response to the Fenollosa/Pound argument concerning Chinese poetry and its proper translation. However, the primary purpose of the work, as Huang states in his introduction, is to deal “with…the often-invisible face of translation…brought to the foreground of poetic texture and the traces of translation’s needle work…exposed to the reader’s view” (Huang “Introduction”). The translations reveal the difficulties and problematics of ripping a literary work from its cultural and linguistic context, a process that is too often smoothed over in editions that aim to hide the invisible, yet irrevocable changes committed by translation’s hand (“Introduction”). Alongside Huang’s critique of conventional modes of translation, this set of translations also engages with the set of principles concerning the Chinese language and its translation into English espoused by Fenollosa and Pound, as mentioned above. Huang adapts certain principles these two men “invented,” such as the importance of the pictographic quality of Chinese characters to interpreting Chinese poetry. He sees these as related to the aim of his own set of translations to stress the linguistic and cultural roots of the poems within. Nevertheless, his translations complicate the principles of Fenollosa and Pound by leading to a defamiliarization of English as well as a necessity on the reader’s part to be aware of the Chinese contexts of these poems. The former effect defies the Orientalist approach of Fenollosa’s essay that treats Chinese as an “Other” language from which English could learn. The second effect, meanwhile, counteracts Pound’s desire that poetry be lifted from its cultural and linguistic roots in order to obtain more universal appeal. In this way, Huang’s work accepts certain contributions of the Fenollosa/Pound essay as important to translations into English of Chinese, but uses these principles to de-Orientalize the Chinese language. He does this through emphasizing the “Otherness” of the English language and underscoring the importance of contextualization to understanding Chinese poetry. Before I embark on my argument, it is necessary to explain some technicalities about the way Chinese characters work, since understanding Huang’s translations depends upon familiarity with these rules. Each character in Classical Chinese, the language of the poems Huang translates, is equivalent to one word—perhaps it would be better to say one concept, since many characters in Classical Chinese are not translatable into English as single words. Each character is composed of two parts, a radical and a sound component. The radical, of which there are roughly two hundred (although only a fraction of these are commonly used), is sometimes but not always pictographic. It often can stand alone as a character on its own, and it hints at the meaning of the more complex characters of which it is a part, though the relationship between the two is often tangential. One example is the character 清. The radical, on the left in this case, is a shorthand form of the character 水， which means “water.” This indicates that the aforementioned character’s meaning should have some kind of relationship with the concept of “water,” which it does, in a distant sense—清 means “clear,” so it is related to “water” in the sense that clean water is clear. In this case, the radical is pictographic, the three dots to the left of the character representing three drops of water. The other part of the character is called the sound component. Characters with identical sound components often have similar sounds. Most scholars of the Chinese language today agree that while Chinese does contain pictographic elements such as those given in the example above, characters by and large function as phonemes, in the same way that written scripts in Western languages do. Not only do Fenollosa and Pound over-emphasize the importance of the visual components of the Chinese character to understanding the meaning of sentences written with them, they also often make up visual analyses of characters that suit their purposes. That is, they turn every single part of Chinese characters indiscriminately into pictographs, even where none exist. Therefore, Fenollosa and Pound’s ideas regarding Chinese poetry are now mostly considered outdated and orientalist, though still important and powerful forces in the way that the Chinese language has come to be perceived in the West since the beginning of the twentieth century. Huang, however, seems reluctant to dismiss the essay completely. He points out that Fenollosa received his training in Chinese through Japanese scholars, who have a specific method of reading Chinese that depends on the composition of the characters. Based on this historical fact, it makes sense that Fenollosa and Pound placed more emphasis on the pictographic quality of Chinese characters than perhaps they should have (Transpacific 73-75). This is only one facet of Huang’s larger argument, however. 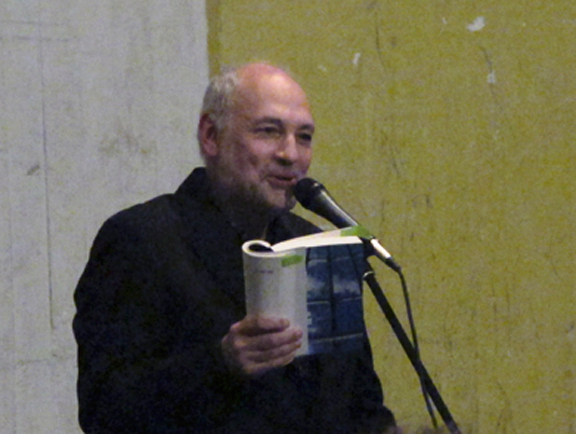 He explains, citing literary theorist Stephen Greenblatt, that to conceptualize of any text simply as representational of the ideology of its author is to consider texts as merely objects to be interpreted, rather than “irreducible, irreplacable interpretations of culture” (Transpacific 21-22). Although Huang agrees that the cultural framework, meaning in this case various forms of colonialism and related ideologies, of Fenollosa’s essay and Pound’s interpretation of it is important, he wishes to consider the essay as more than a “cultural symptom” of these ideologies (21). The various mis-translations, mis-interpretations, additions, and manipulations of Chinese poetry that resulted in this essay do reflect a feeling of cultural superiority, in which one culture thinks it is fit to alter the texts of another to suit its purpose, but they also reflect a complex trajectory of genuine attempts to understand the Other (22). Huang writes, “From the Chinese legends to the Japanese interpretation, to Fenollosa’s reinterpretation and re-creation, and to Pound’s editing and his intertextual transposition that gave birth to his Imagistic poems was not a simple process of forgery, but a complex process of remaking culture” (92). Huang makes a distinction between fabricating cultural accounts and inventing them. It is difficult to accuse anybody of fabricating cultural descriptions because, in this sense, every cultural description in history ultimately could be seen as a fabrication. Who is to say what the true character of a given culture is (49)? To attempt to do so would be to present an over-simplified description, which would necessarily exclude many modes of living that given culture. As a concrete example, Huang uses the sentence mentioned above, Fenollosa’s Chinese sentence “日上東 [the sun rises in the East].” While pointing out that this is hardly a sentence that a native Chinese speaker would write, Huang wonders ultimately what the significance of making such an assertion is. “Who is to decide Chineseness,” he asks, “when even the Chinese characters were supposedly invented by ‘Soketsu in the time of Kotei,’ both of whom ‘came from the West” (49). The trajectories of textual migration that an essay like “The Chinese Written Character as a Medium for Poetry” represent, therefore, are not fabrications of some “true” culture, but rather continous inventions of culture. It is in this context that I now want to take a closer look at Huang’s work entitled SHI: A Radical Reading of Chinese Poetry. Though he is very much aware of the Orientalist implications of Fenollosa and Pound’s work, he also does not want to dismiss it as mere “fabrication.” He instead considers it a crucial contribution to the multiple “inventions” that have formed Western perceptions of Chinese culture throughout the twentieth century. In turn, he reinvents Fenollosa and Pound’s emphasis on the Chinese character in his translations. Fenollosa tried to express in his essay that Chinese was an easy language to translate into English, word-for-word, and that doing so would result in a form of English truer to that which some vague ancient race of English-speaking people used (50). Huang’s translations defamiliarize English in order to accommodate certain characteristics of the original Chinese, thus negating Fenollosa’s implicit assumption that anything about the translation from one to the other is easy, or that English can only ever become more familiar when poetry is translated into it. In addition, while Huang indicates the importance of Chinese characters by constantly foregrounding them in his translations, he emphasizes that the reason for this is that the cultural and linguistic roots of poems need to be examined; poems cannot be lifted from their cultural and linguistic origins and implanted into English without consequence. This is precisely the kind of assumption that SHI as a whole cries out against. 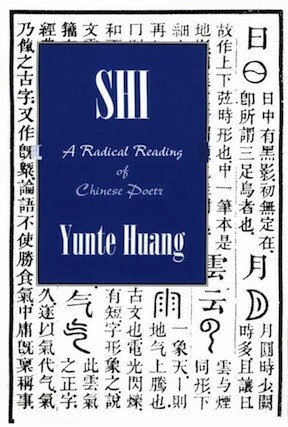 The full title, SHI: A Radical Reading of Chinese Poetry, is in itself interesting because of the double-entendre of the word “radical.” Huang clearly is in one sense referring to one of the four kinds of translations provided for each poem, the “radical translation” in which most radical and sound components of every Chinese character of a given poem are translated into word-for-word English. However, as I already mentioned, each poem in Huang’s collection has four translations, not simply the one labelled “radical translation,” which means that the ‘radical’ in his title cannot help but also suggest the other, more general meaning of the word, the one that refers to that which is new and different. His title thus makes a statement that his translations of Chinese poetry are a radical twist on translations of Chinese poetry that have preceded them, including of course Fenollosa’s and Pound’s. The “SHI” of the title, meanwhile, expresses the specific ways in which Huang’s translations differ from others. While somebody familiar with the Chinese language would recognize this as the romanization of the Chinese word meaning “poetry,” to many readers of this text, the title remains unrecognizable, though it is written using letters of the roman alphabet. The reader needs to familiarize him or herself with a little bit of Chinese in order to understand the word’s meaning. This feature emphasizes the importance Huang places in his work on awareness of the linguistic and cultural origins of the poems he translates. Furthermore, his choice to use the romanized spelling of this word in his title is crucial—he does not use this anywhere in his actual translations of the poems, only the original characters and their English translations. In using the word “shi” as his title, he must realize that many English-language readers (I cannot speak for native speakers of other languages) will read it incorrectly as being pronounced the same way as the English word “she.” Though its actual pronunciation does not exist in English, it is in fact more similar to the pronunciation of the first four letters of the English word “shirt.” It seems that he encourages the misreading. Rather than dismissing the word as unpronounceable because it is foreign, readers are faced with a word that (seemingly) is totally pronounceable in their language, but which they do not understand. In this way, he defamiliarizes English. These two features—defamiliarizing English and rooting the poems in their cultural and lingistic context—run throughout his translations. This makes them “radical” in the sense that translation conversely often tries to make something that is not relatable familiar to a given audience. The most immediately-striking feature of Huang’s radical translations is that there are actually at least three, arguably four, separate translations of each poem. This choice is a definite move away from the Imagists, and Fenollosa as their precursor, who believed that what made Chinese poetry beautiful was its maximum impact—it conveyed the greatest amount of emotion in the least amount of space and in the fewest words possible. At the same time, though, Huang’s inclusion of multiple kinds of translations in some ways reinforces the value that Fenellosa and Pound placed upon the Chinese character in their interpretations of poetry. Understanding fully Huang’s translations is dependent upon knowledge of how Chinese characters function, emphasizing their importance to understanding the poem. However, the primary purpose of this focus on Chinese characters in Huang’s translation is to emphasize the linguistic roots of the poems he translates, thereby revealing the crucial differences between Chinese and English that ensure that elements of the original poem must always be lost in translation. To further highlight the importance of context to these poems, Huang bombards the reader with almost an excess of information. This enables the reader to see many different ways in which to read the poem, all of which are rooted in the poem’s linguistic and cultural context. Furthermore, Huang does so in a way that defamiliarizes the English translations and thrusts the non-Chinese-reading-reader into the unfamiliar world of Chinese characters. Thus, the translations simultaneously retain Fenollosa and Pound’s “invention” of the importance of Chinese characters in interpreting Chinese poetry and manipulate this invention to underscore the the fissures and gaps that emerge in the process of translation. For the sake of brevity, I will here examine Huang’s translations for only one of his poems in the collection, called “Recollecting Chin-E.” The techniques that I uncover in these translations are representative of those used throughout the collection. The first translation that Huang provides for each poem, which is also the only one that has no title, I will call for the sake of convenience “the conventional translation.” I call it this because, compared with the other three translations, it most resembles typical translations of Chinese poetry, though even this one could hardly be said to be conventional. It is arranged in two columns, with the original Classical Chinese poem laid out across the bottom of the page beneath them like a foundation stone. The left-hand column is a fairly standard translation of the poem, while the right-hand column provides extensive commentary on proper names and other terms that may be unfamiliar to readers. This layout is in itself interesting, in that it evokes an image of the English-language poem and its commentary as relying upon the original, character-laden text for support—as, indeed, each of Huang’s translations do in a sense, the English unable to be read without scanning the Chinese, and the poem’s linguistic origins thus impossible to neglect. The presence of the original poem, so different in appearance and layout from the translation, also helps to highlight the “strangeness” of the poem as written in English: I mean this in the sense that Huang’s translation lays bare the gap that emerges when transferring a poem from one language to another. His English translation does not convey “the essence” of the poem—the presence of the original makes it clear that there is something irretrievable in the original, whether in its form, its script, or some other feature. In any case, though, refusing to hide this essential problem of translation thus illuminates English as an “other” language, in the sense that it dislocates and irrevocably changes the Classical Chinese poem in question. The commentary, as I hinted at above, is a marked difference from Fenollosa and Pound’s spartan approach to appreciating the pithyness and essentiality of Chinese poetry. Huang explains elsewhere that both Fenollosa and Pound intentionally misread Chinese poems as bare and minimalistic, when in fact they would have most likely been aware that Classical Chinese poetry is steeped in commentary that is often barely, if at all, distinguishable on the page from the poetry itself (Transpacific 76-78). His choice to in his translation clearly demarcate the poem from the commentary reveals that its presence in the first place does not stem entirely from a desire to be more faithful to the form of the original text. In fact, Huang explains that the presence of the extensive annotation is “a conscious effort to disrupt any ‘smooth’ transaction between different linguistic capitals” (“Introduction”). His commentary reinforces the cultural origins of this poem, refusing to universalize it in the manner of Pound’s theory of kulchur. In fact, Huang seems to have gone out of his way to make some of the terms he provides commentary for appear obscure to those not steeped in a scholarly understanding of ancient China. For instance, upon beginning to read “Recollecting Chin-E,” the uninitiated reader will most likely be jarred right away by the first sentence, “A xiao sobs…” (SHI 11). Huang’s commentary comes to the rescue, explaining that a xiao is a vertical bamboo flute (11). Could he not have simply translated the word as “flute”? Yet, to do so would have been to denote an instrument that, while similar, is not the specific instrument that the poet intended. Though he could have created a smoother translation by using the word “flute,” Huang once again reveals the ruptures created in the translation of the poem, thereby bringing to the forefront this poem’s cultural context and the way in which it has been dislocated in its English translation. He also reveals once more the “strangeness” of English, at least from certain perspectives—it is not the case, as Fenollosa’s essay implies, that Chinese poetry can be translated easily and word-for-word into some kind of truer, more essential English. Rather, English is a strange language to Chinese poetry, and one which will necessarily disrupt features of the original poem, since it is, as all poems are, rooted in a specific linguistic tradition. Huang calls the second section simply “More Explanations.” According to his introduction, this method of providing even more background information on the poem serves to further underscore what is lost and unrecoverable when a poem is translated and thus taken from its original linguistic and cultural roots. Huang picks out a few of the characters used in the poem and explains the meaning of their constituent parts. However, rather than describe the composition of all of the characters in the poem, Huang chooses only a few to explain—in the case of “Recollecting Chin-E,” for example, he chooses three. It is therefore necessary to question why Huang chooses the specific characters he does. Certainly part of the reason is in direct response to Fenollosa and Pound’s incorrect readings of the composition of many Chinese characters. Huang even explicitly refers to Pound’s misinterpretations of certain characters several times throughout the collection in this section while providing his own explanation of their etymologies. However, I would argue that this section is also in a sense a translation of the poem, albeit a radical one. One could argue that “xiao,” “sound,” and “dust,” the three characters Huang chooses to examine in his “More Explanations” section, are three of the most crucial words to the poem. The motif of sound runs throughout; the sobbing of the xiao that evokes the poetic response of the narrator is contrasted with the lack of any sound in the second stanza. Furthermore, both the words “sound” and “dust” are repeated in close proximity to each other in this second stanza. Together, the three words combine to evoke a contrast between sound and silence. This in turn highlights the distinction in the poem between solitude and companionship, what once was and the memories that remain. This pattern in the “More Explanations” section of picking out characters that could be considered central concepts to the overall poem persists throughout the work. Therefore, in a way, this section is a translation of sorts that pares the poem down to its three most essential concepts. However, even as it seems to mimic Imagist philosophy in this stripping down to essentials, it defies it. First, Chinese does not embody Imagist principles that English poets should learn from in paring down their language, but is itself stripped down to a few core concepts: Xiao—sound—dust. Secondly, this is not a result of mis-reading the composition of these three characters as reinforcing their meaning, but rather occurs in the act of pulling out them from the larger poem and placing different etymological variants of them together in the same section, thus emphasizing each character in turn as well as relations among the three. These characters do not stand alone, but are clothed in extensive English explication of their etymologies—this, ultimately, is an assertion of the necessity of annotation to poetry, as is the overall “More Explanations” section. In fact, unlike in the first translation, the characters that Huang picks out from the poem are written alongside the English annotations of them, not separated into columns or rows or via any other kind of format. Thus, in a way, the “More Explanations” section mimics the original appearance of much Classical Chinese poetry moreso than Huang’s first translation does, excepting of course that it is written in two separate languages. The third translation Huang provides for the poem is the “Radical Translation,” which I referred to earlier in my discussion of the collection’s title. In this section, Huang lists each line of the original poem in Classical Chinese, including the title. Under these lines, he writes an English translation of the breakdown of these characters, a continous stream of words in which the italicized ones stand for the radicals of each character, the bold ones for its overall meaning. For instance, one character in the poem is “夢,” which Huang translates as “moon-dream” because the radical of the character means “moon,” while the overall meaning of the character is “dream” (13). He generally does not deconstruct the characters that form parts of proper nouns in the poem, such as the place names “Happy Walk Plain” and “Pa Ling.” He does make an exception, though, for Chin-E, the title character’s name, translating it as “Chin Woman-E” (13). This stands in contrast to the character Huang translates in his conventional translation as “sad” but in the “radical translation” as “man-hurt” (13). Marking the radical in Chin-E’s name seems an artistic choice to emphasize the contrast of woman and man in the poem and therefore suggest a romantic overtone. Huang explains elsewhere that he intends for the radicals in this translation not to stand in as representations of meaning, but to boldly enact the meaning of the words and thus bring forth their material medium, the characters (“Introduction”). The italicized words of the translation cannot on their own accurately represent the meaning of the characters, which stands in opposition to the attempts of Fenollosa and Pound to read the meanings of Chinese characters purely from their pictorial components. Rather, as Huang asserts, they enact the meaning of these characters, while also bringing the characters themselves into focus. The reader understands how a “moon” radical might help to create the character’s meaning of “dream,” and in so understanding is forced to think about the character itself and how it is formed. Translating the characters in this way thus draws more attention to the composition of the characters and the way in which the radicals enact their meaning than even reading the original poem would. Huang’s translation thus at once negates the beliefs of Fenollosa and Pound even as it, too, proclaims the importance of the Chinese character as a medium for this poem that should not be forgotten after its translation into English. I would also like to argue that, once again, Huang responds to Fenollosa and Pound’s “othering” of the Chinese language by “othering” English. In his book Transpacific Displacement, Huang compares the way Fenollosa and Pound treated Chinese characters to writing the English word “individualism” as “IndIvIdualIsm” in an effort to emphasize the Western value placed upon individuality. He points out that, while not improper English, this is a means of toying with the language that does not reflect ways in which it is generally used. He then goes on to suggest that Fenollosa and Pound do the same with Chinese characters (42). He seems to replicate this intentional mis-representation in the “radical translation” section. Each English sentence, while containing real English words and evoking real images, nevertheless comes across as strange to the reader because of the unfamiliar way in which it is written: “bamboo-xiao ear-sound mouth-sob,” for instance (13). Where Fenollosa and Pound once manipulated Chinese to convey what they considered a purer and stronger English, Huang now manipulates English through the unusual style of translation and the alternating bold and italic fonts. He “others” English, representing it in an unfamiliar manner that reinforces his point that certain modes of reading and understanding the poem are irrevocably lost when translated unless English is greatly manipulated. This shatters Fenollosa’s idea that Chinese is somehow a natural language to translate into English because it uses poetic ideals that are universally applicable. Despite the fact that it lists characteristic features of English, it organizes them in an unfamiliar manner. The “-s” at the end of certain conjugations of verbs and plural nouns, for example, almost never is written by itself. The same can be said of the “-ing” as well as the three particles. Thus, Huang succeeds in making these very familiar characteristics of English appear odd. The “What’s in Chinese” section lists the same Chinese radicals emphasized in the “radical translation” section perspective (14). It continues the emphasis of all of the translations on maintaining an awareness of the cultural and linguistic roots of the poem. The list of successive seemingly-unrelated English translations next to the list of Chinese radicals (as well as the radicals themselves for those who understand them) evoke a kind of poetry. One could not argue, however, that the poem created by this list of radicals could in any way be indicative of the meaning of the original poem. This characteristic reinforces the central point Huang makes in his “radical translations,” which is that the radicals do not represent meaning, but rather enact it. The English list cited above also works as poetry. It arguably invokes the strongest images of the poem: “(sobs)//broken…//…(hues, tablets, tombs)//…(recollecting, parting, fading)//of” (14). The final “of,” in particular, seems to speak to the earlier images of recollecting, parting, and fading—the fading of what? The lack of finality that the end “of” implies underscores the fleeting nature of relationships, of memory, and of life that the original poem suggests. Huang achieves this effect by repeating in this list, ostensibly as examples of the grammatical points in question, certain of the key words of the English translation. He thus achieves much the same effect here as he does with his choice of characters in the “More Explanations” section, though he is using English as opposed to Chinese. This is perhaps an indication that the effect of evoking several key images from the use of just a few words is not limited to Chinese, nor to a form of English that mimics Chinese, as Fenollosa would suggest. If anything is to be learned from Huang’s translations, it is that nothing about translation between two languages is easy or natural, contrary to what Fenollosa suggests in his essay. Fenollosa and Pound believed that understanding the composition of the Chinese character was crucial for reading and understanding Chinese poetry. Huang’s translations correct the incorrect manner in which Fenollosa and Pound read Chinese characters; however, contrary to de-emphasizing the presence of the characters as most translations do, his in their very form and function depend on them. Huang thus reinforces the importance of Chinese characters in his translations, but for reasons that are different from, and ultimately in opposition to, Fenollosa’s and Pound’s. Chinese poems cannot simply be lifted out of their linguistic and cultural contexts, severed from their original language and annotations, and placed into English without repurcussion. Translation is not seamless in the way that Fenollosa and Pound dreamed it to be. Huang’s translations find multiple ways to emphasize the ruptures and losses that occur when a poem is translated from its original language into English. Two of the principal ways they achieve this are through defamiliarizing English itself and constantly reminding the reader of the cultural and linguistic background of the poem. The first effect highlights the way in which English cannot magically represent the essence of every poem translated into it, but rather dislocates and distances these poems from their first forms. Defamiliarizing English emphasizes the way in which certain pieces of the poem are lost in translation, while others can only be approximated in English through re-working the latter language in unusual ways. The second effect emphasizes what is lost when a poem is torn from its first linguistic and cultural contexts. This is not to say that translating a poem has a negative effect on the work, by any means. Every translation of a poem is in effect a new way of reading it. However, Huang’s book of translations reminds readers not to forget that translation is not a natural, unhindered process, but that much is changed, lost, and perhaps gained. Fenollosa’s and Pound’s stress on the importance of the Chinese character to understanding Chinese poems is important, not as a key to a universal philosophy of how to write and translate poetry, but to recognizing the value of cultural and linguistic particularity to literature. The act of translating does not erase these cultural and linguistic particularities, does not universalize poems. 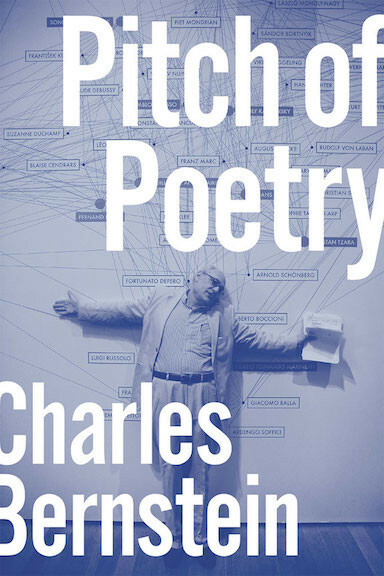 Rather, it engages with the cultural and linguistic particularities of multiple cultures in ways that ultimately provide increased insight into the poems themselves. Fenollosa, Ernest and Ezra Pound. The Chinese Written Character as a Medium for Poetry. Ed. ---“Recollecting Chin-E.” SHI: A Radical Reading of Chinese Poetry. Roof Books, 1997. Web. Kennedy, George A. “Fenollosa, Pound, and the Chinese Character.” Yale Literary Magazine. 126.5 (1958): pp. 24-36. Print.